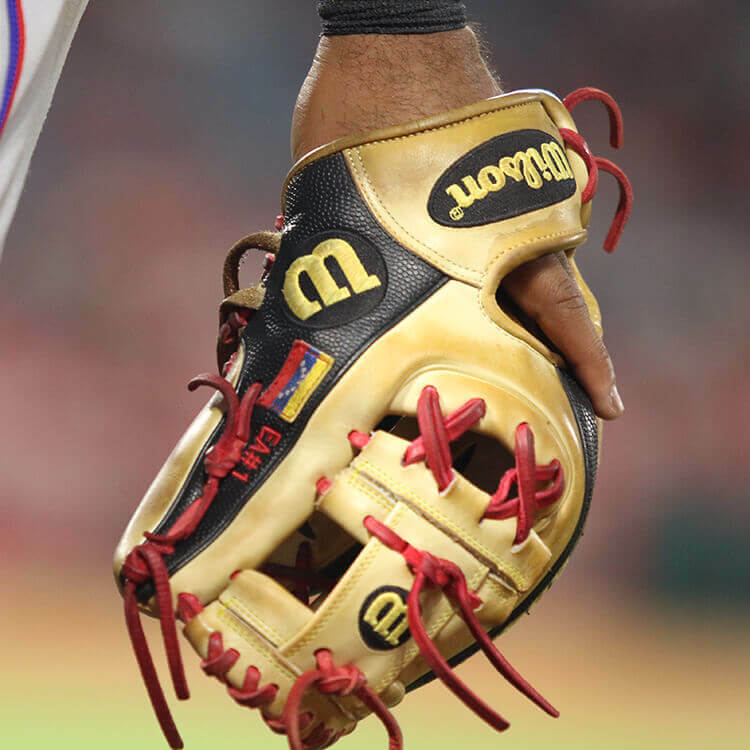 Elvis Andrus has stuck with the blonde, black, and red colorway for a few years. There is a reason Andrus has stuck with this colorway, it just never gets old. Andrus uses the 11.25″ 1788 pattern. He has used 11.5″ in the past, and warms up with an 11″ glove. Andrus has also been using the Super Skin back in games for quite some time now. 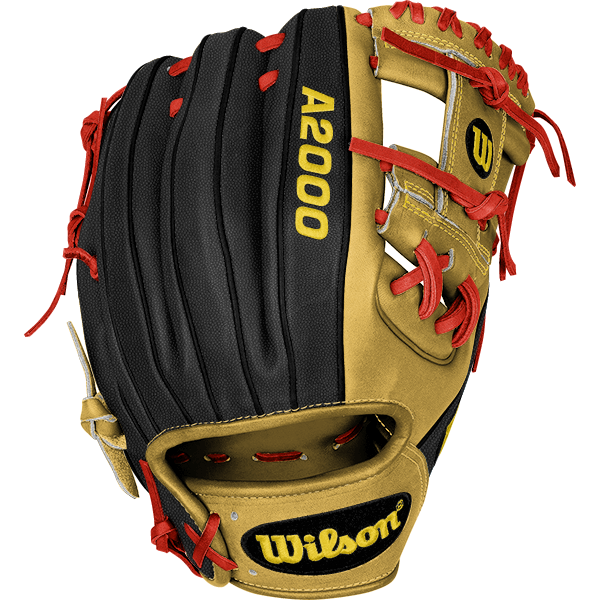 Elvis Andrus’ Wilson A2000 1788SS Glove is available through the custom builder. 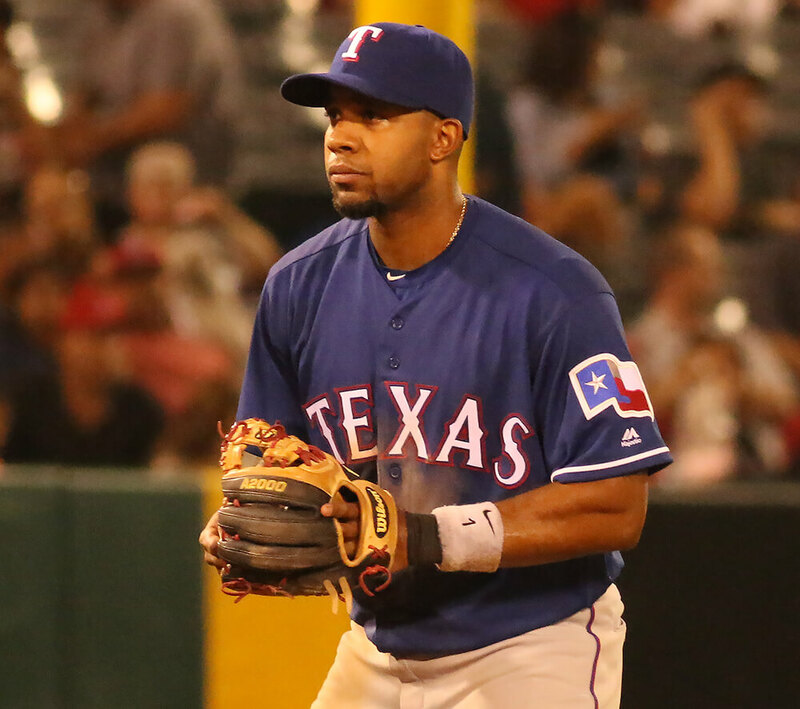 Categories: Texas Rangers, Elvis Andrus, Gear, Glove, Shortstop.